I love orange! That shade is so pretty on you Andrea. 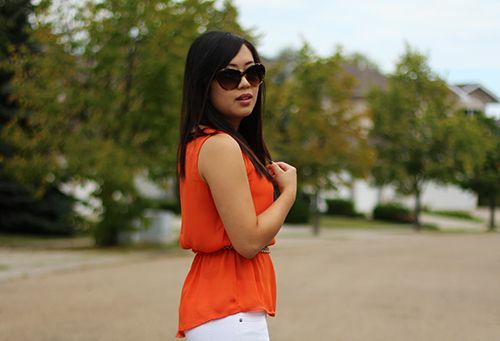 I've always liked orange & white together. Cute outfit! So fitting for Halloween today. :) I love the orange color on you! Those colours are gorgeous on you - it's a lovely combo! You look so elegant, loved your top..
What a pretty combination! That shade of orange looks awesome on you! the outfit just looks great overall!! 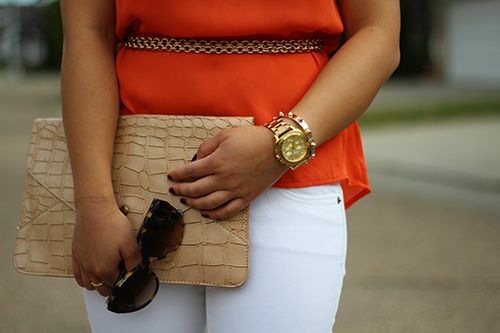 Andrea, you just inspired me, never thought of wearing white and orange. You looked so chic!